This is a great tongue and cheek gift to really wind up the bride to be. 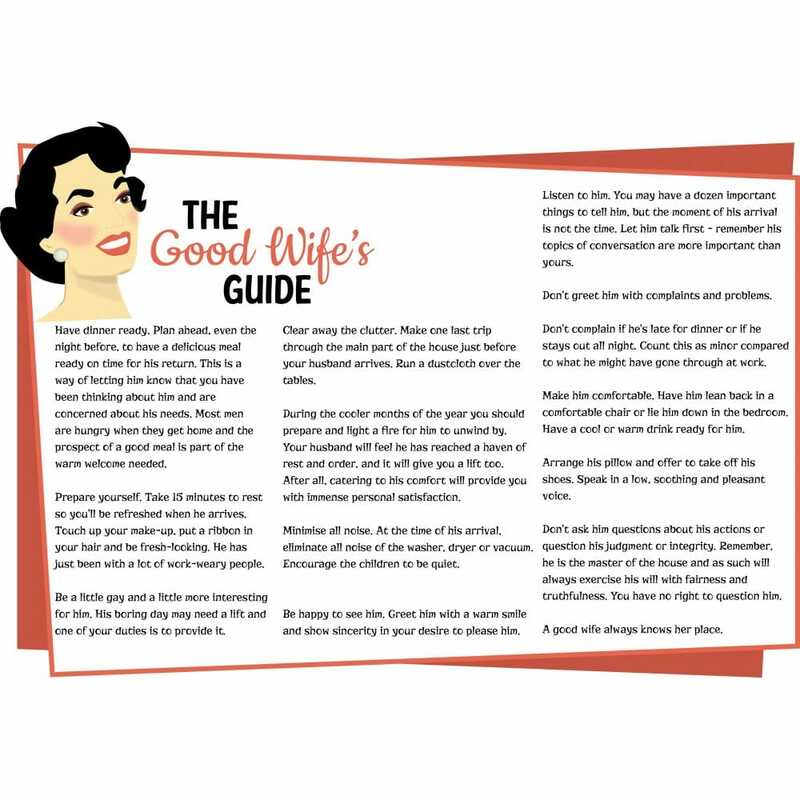 Some great 1950's outdated advice on why a clean home makes the hubby feel better and valuable hints on making yourself more attractive to him. This gift will work especially well for a bride to be who is seriously career driven and has no plans to stay at home. A humorous gift that will provide lots of laughs.